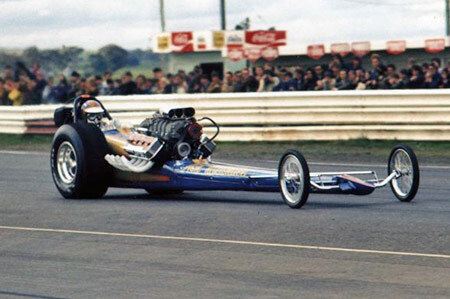 If you speak to any old racer or nostalgia buff from Australia and ask them to name some of the most famous cars from the 60's and 70's it won't take long for them to mention "Scorcher". 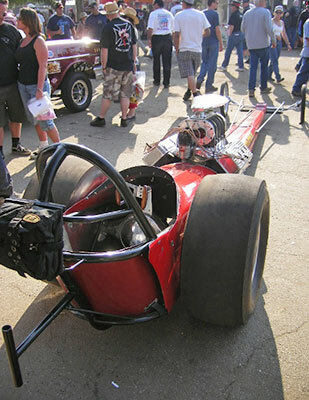 Leland Kolb had the car built in 1966 by Race Car Specialties (Frank Huszar). 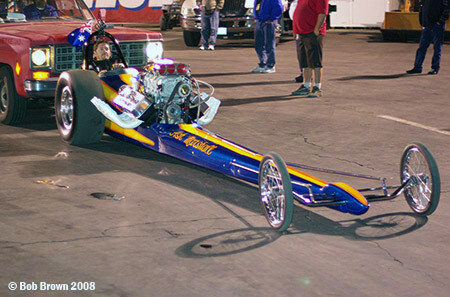 Kolb raced it mainly on West Coast tracks where it ran a best of 6.87 @ 233mph. 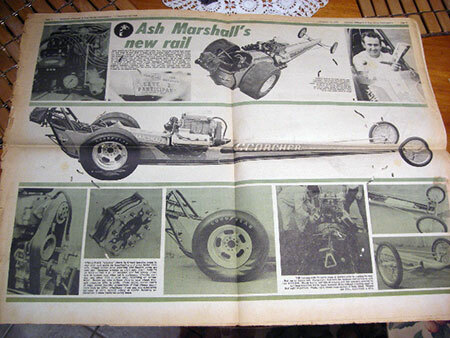 In late 1968 to car was sold to Australian car dealer Ash Marshall. 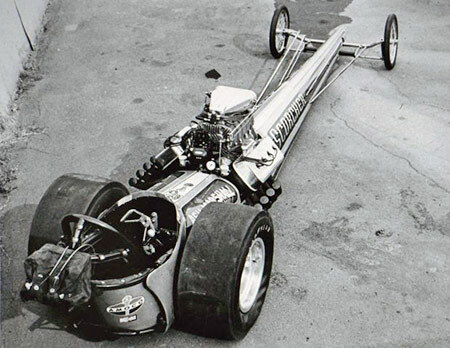 Marshall was no stranger to top fuel dragsters having raced a "legs under" style car called "Vandal" for a number of years. 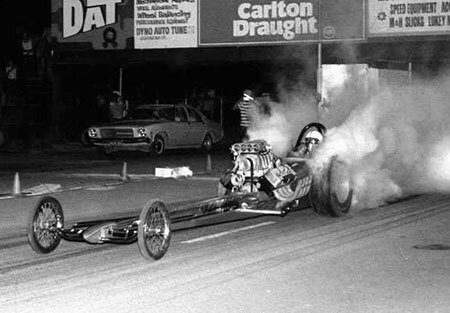 Scorcher debuted in November 1968 and changed the drag racing scene in Australia forever. Brand new in the hands of Leland Kolb at Lions in 1966. The headline says it all. 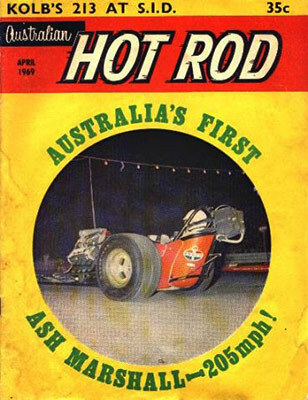 Australian Hotrod January 1969. Ready to hit Aussie tracks. 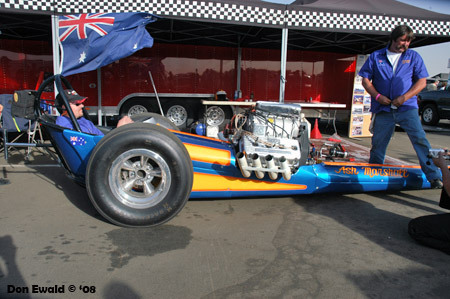 At its second outing at Melbourne's Calder Park a steering shaft failure caused the car to veer off the track and take on the Armco barrier at 150mph. 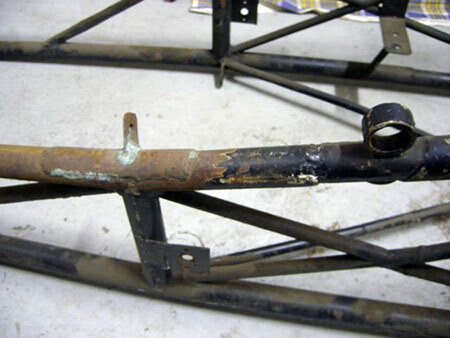 The chassis was quickly repaired and continued to race with half body. No fancy trailer or pit garage to work out of. burns to his hands, legs and feet. and repainted after the April fire. 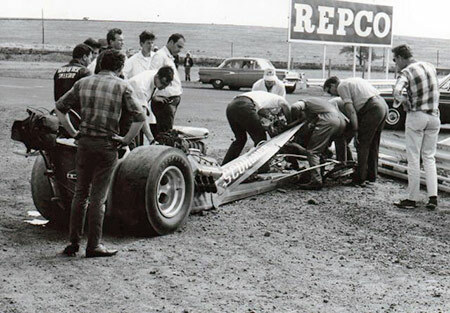 Scorcher at Calder Park, Victoria mid 1970. Sometime in late 1970 Scorcher was sold. Here is a brief history of its subsequent owners. 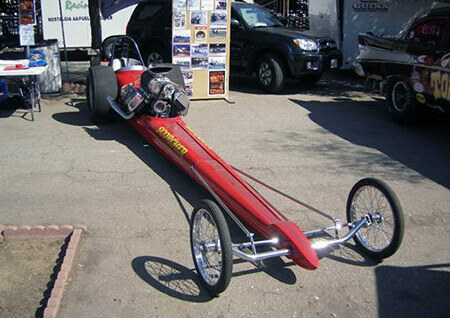 Blair Shepherd was a speedway racer who purchased Scorcher from Ash Marshall and decided to try his hand at drag racing. 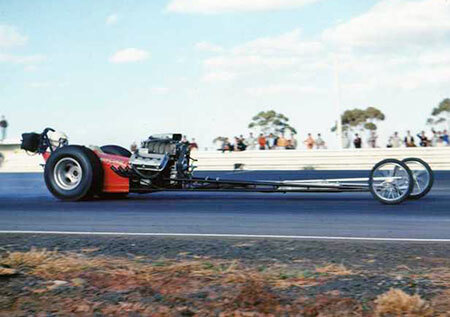 Shepherd's debut meeting was 10th April 1971 at Surfers Paradise where he obtained his license running a best of 8.85 @ 177.51mph. Shepherd ran two more meetings at SPID lowering his best ET to 8.45secs. 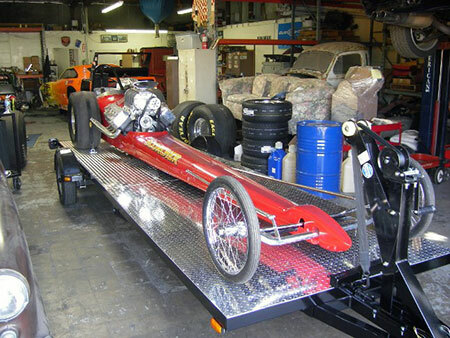 On 28th November he competed at the Nationals at Castlereagh picking up a win and running 7.72 @ 205.71mph. 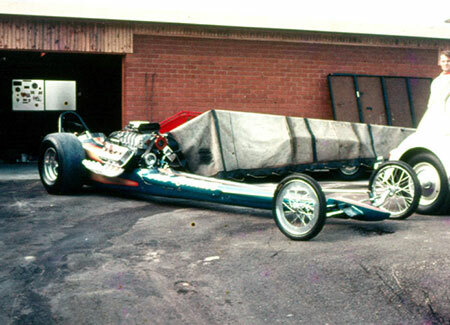 The car was repainted and became "Wheeler Dealer" and ran a meeting at SPID Boxing Day 1971, he also picked up a win. 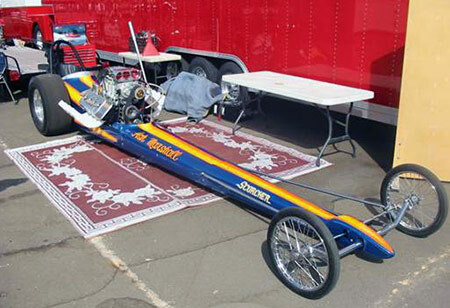 After suffering a nasty blower explosion which saw his helmet hit with pieces of blower case he decided to give drag racing away and sold the car. 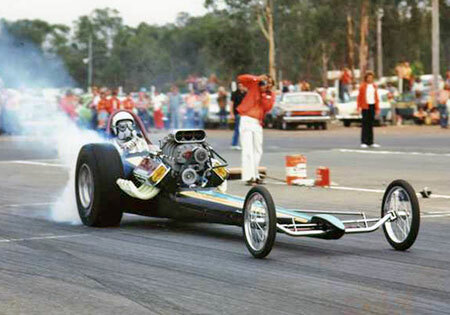 Known at the time as Farrell's Fueler the car was based in Queensland and mainly raced at Surfers Paradise International Dragway. 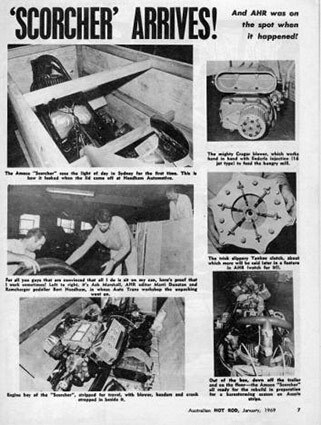 The car was driven by Peter Dykes and later by Roy Smith. 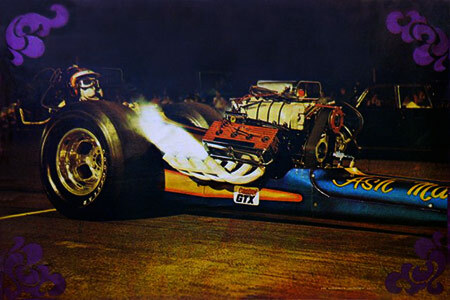 Dykes drove from May 1971 to August 1972 running a best ET of 7.46 secs and a best speed of 218.44mph. 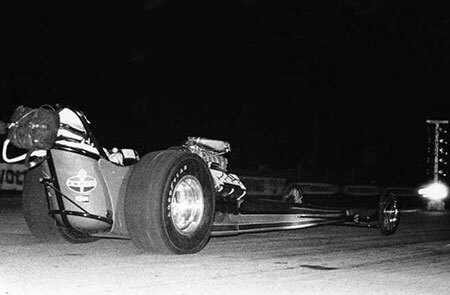 Smith drove from November 1972 to February 1973 running a best of 7.74 secs @ 204.08 mph. Some of these photos are courtesy of Steve Thomas of Visual Velocity. 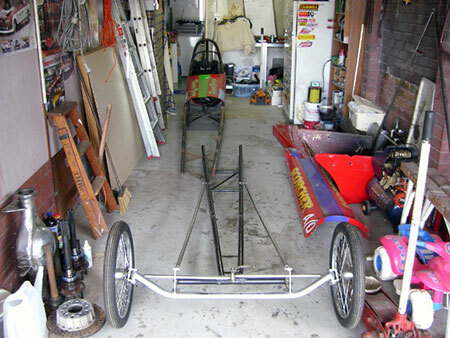 Based in Townville North Queensland this team was formed when Noel Horton purchased the rolling car and combined it with an engine owned by Reece Davies. 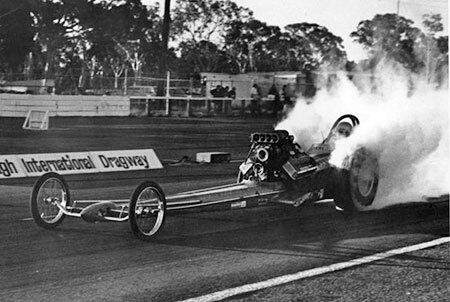 The first meeting raced was September 1974 at Savana Dragway Townsville running 9.89secs @ 164.53mph with head gasket problems. 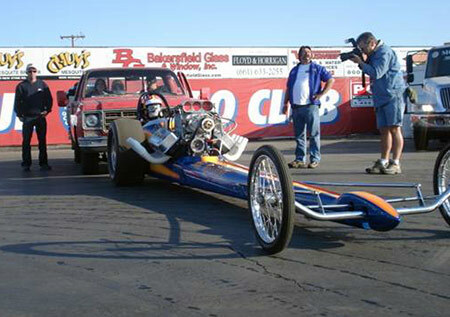 The next meeting they improved to 8.77 secs @ 175.03mph scored a victory along the way. They only made one more appearance racing at Surfers Paradise January 1975. 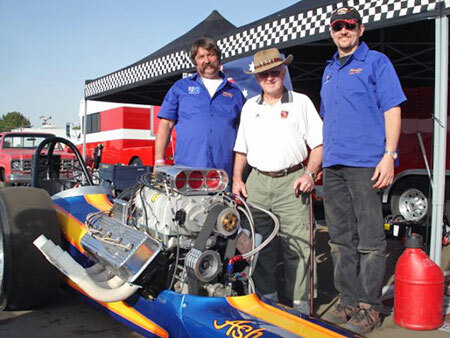 Graham Scholes and Lester James purchased the car turn key from Noel Horton, They named the car "Piranha". 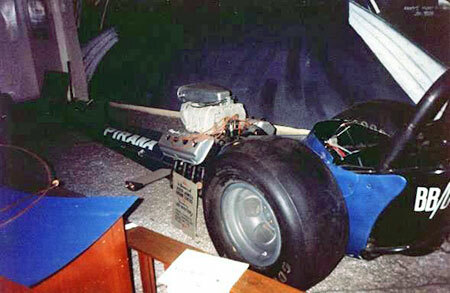 Both Scholes and James drove the car alternately and ran the car on Alcohol running AA/Dragster. 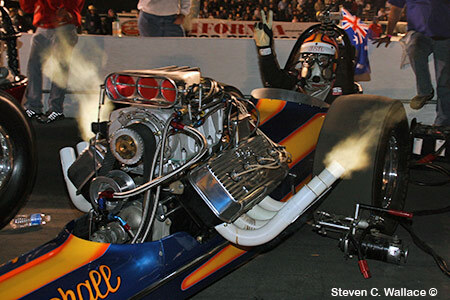 Scholes' debut was August 1975 and drove up to October 1976 running a best of 8.11 secs @ 182.92mph. 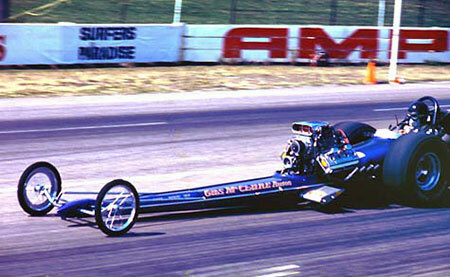 James drove from November 1975 to March 1977 running a best of 7.96 secs @ 193.96mph. James scored a win at SPID and won twice at Castlereagh. 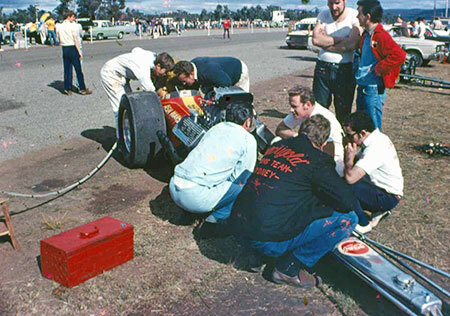 Graham Scholes died of a heart attack in the pits at Surfers and Lester James died a few years later behind the wheel of another dragster at SPID. 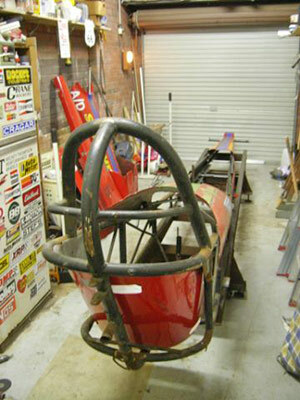 The car became a monument to these two racers and sat on display in the QDRA club room. 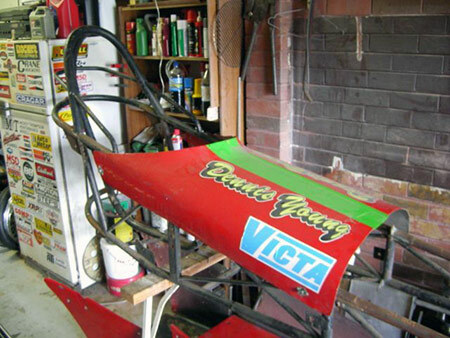 The car was never raced again in that form. Some photos are courtesy of Steve Thomas of Visual Velocity. Scorcher as found by Dennis Young in 1988. 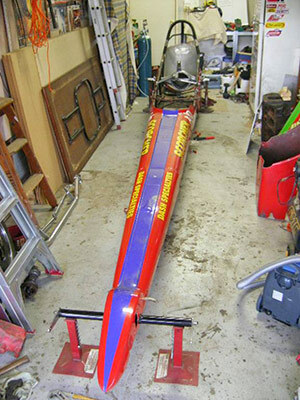 Dennis Young purchased the car from Les Winter in 1988, it soon became evident to Dennis what he had purchased. 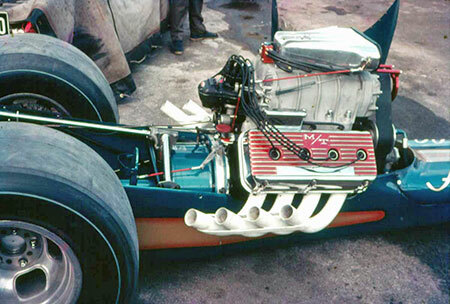 The chassis was not able to comply with racing safety specs so the car was rebuilt from the front motor plate back. 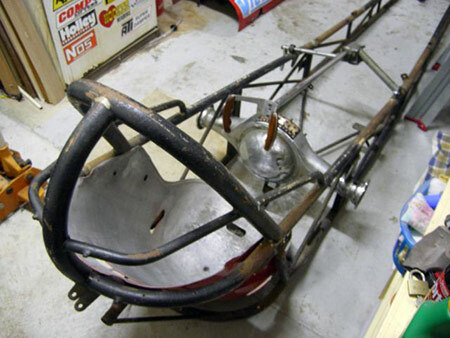 In hind sight, fortunately the original cage was left in tact. 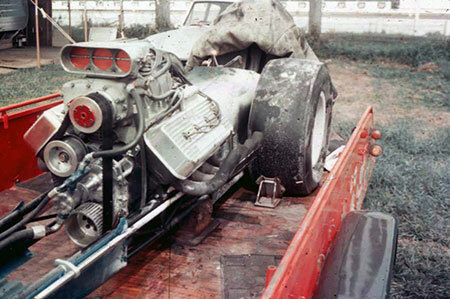 The car now had a alky injected Small Block Chevy, it was the first time Scorcher did not have a Hemi powerplant. 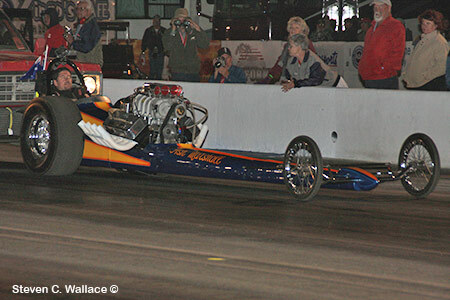 Dennis began racing the car from 1990 in the super tough Competition Eliminator category. 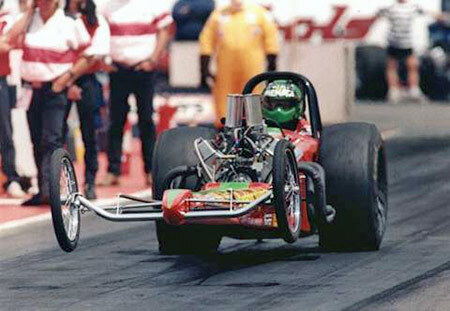 Dennis' best performance was at the 1994 Winternationals where he scored a runner-up with best numbers of 7.74secs @ 174mph. In 1995 George Bukureshliev joined the team and began driving the car with his own engine running a best of 8.01 secs @ 169 mph. 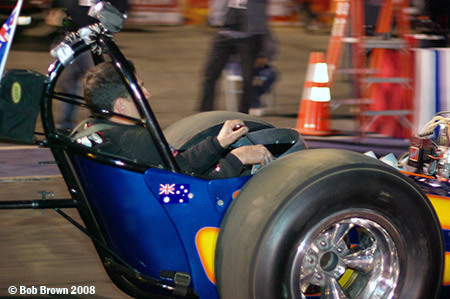 Scorcher last competed in May 2000 at a Nostalgia event at Melbourne's Calder Park. 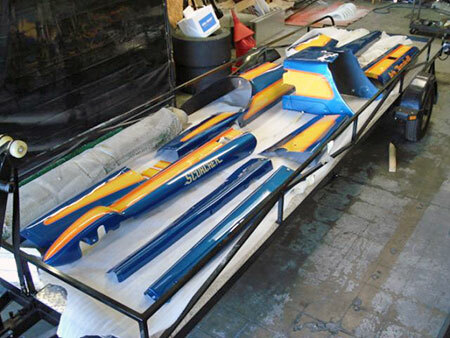 In November 2007 a plan was made to restore Scorcher back to its original 1970 guise and ship the car to the USA to attend the 2008 March Meet and CHRR. 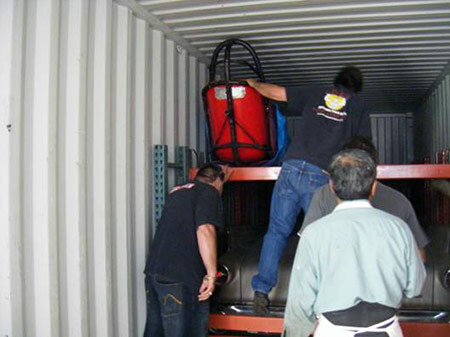 The completed car had to be shipped by early January to allow time for it to be assembled. 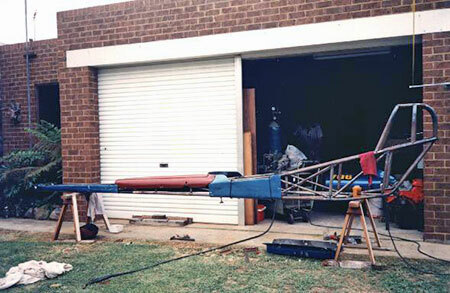 So the rebuild began in a home garage in Sydney Australia. 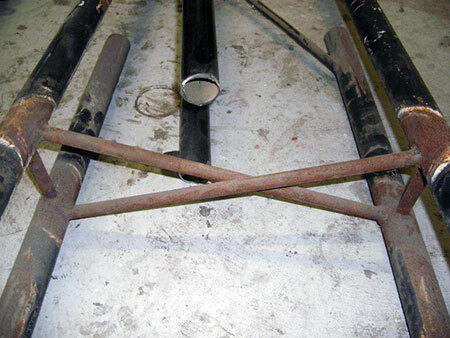 Complete Scorcher restoration story at the bottom of this page. 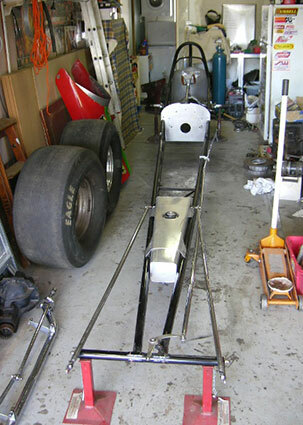 The original back chassis section. 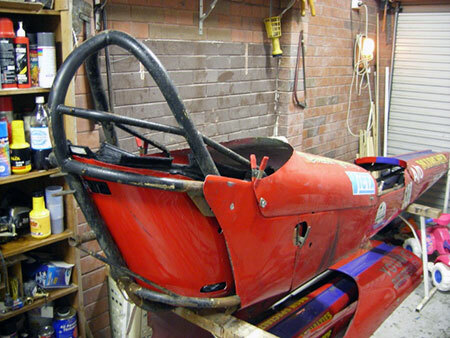 The original roll cage and panels. Old Scorcher meets new Scorcher. 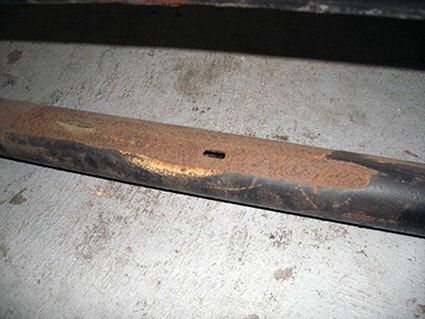 Old motor plate mounts were braised on. 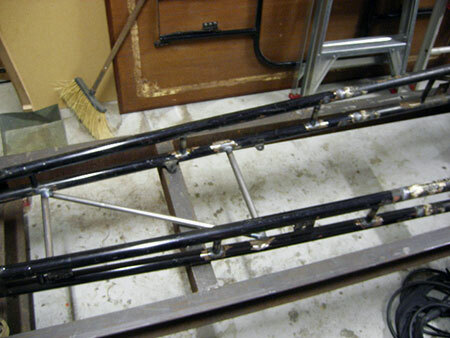 The bottom frame rail was ground thin enough to push a screwdriver through. 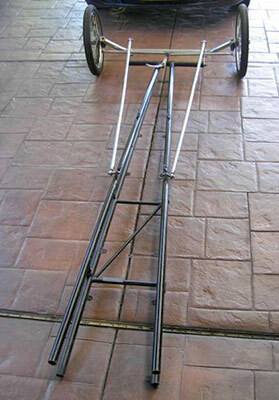 The original front end is cut off. Ready to be reunited with the back half. 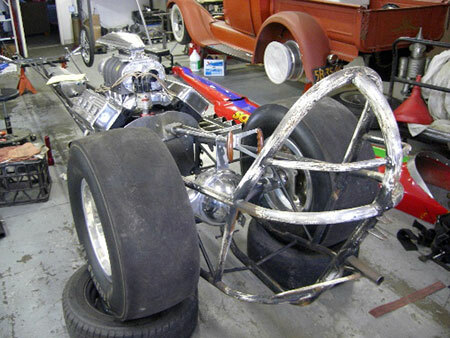 The original chassis halves were rejoined.... operation was a success! Engine plate and tank fitted. Like a big jigsaw puzzle the pieces fall into place. Scorcher rolled out in one piece Christmas 2007. 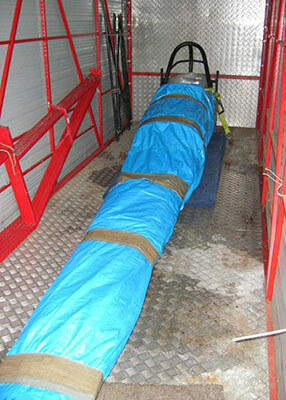 Wrapped and packed for the long trip to California USA. She made it safe and sound. 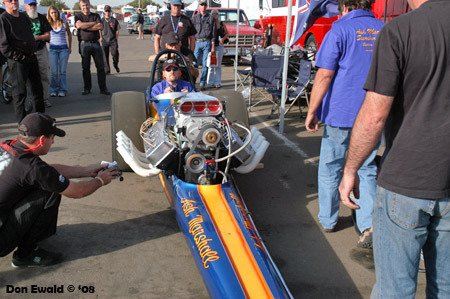 With days to go a mock up hemi was put in just for display at the 2008 March Meet. Scorcher was on display at the 2008 March Meet in "The Grove". 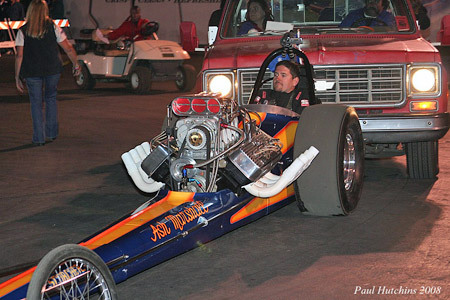 Ash Marshall made the trip from San Diego to be reunited with his old dragster. There were many Aussie nostalgia fans on hand to witness this special moment. Ash Marshall reunited with his old Scorcher. The March Meet was history and Scorcher made a successful debut at Famoso. 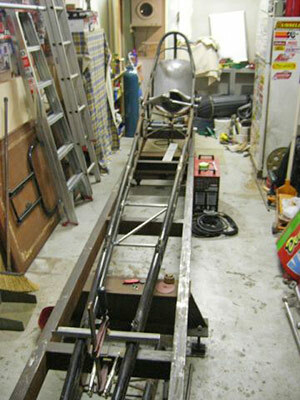 The next stage of the rebuild came into effect, to continue the restoration and make Cacklefest in October at the CHRR. 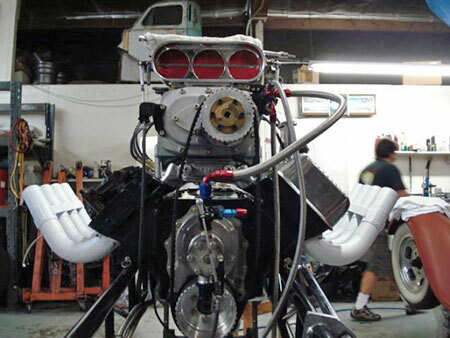 The engine is real this time but with days to go there is still a lot to get done. The painted panels arrive just in time. On the road to Famoso for the 2008 CHRR. 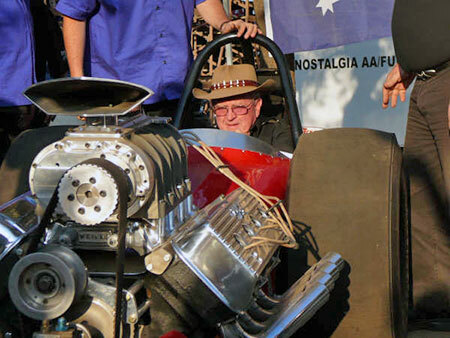 Another first time Cacklefest and definitely the winner of the long distance award was Australia's first cacklecar - the "Scorcher" AA/FD of Ash Marshall. 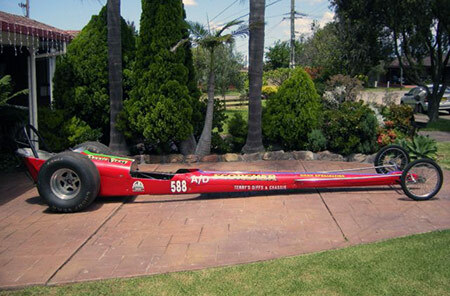 The car was purchased from Leland Kolb and shipped down under in the early 70s. 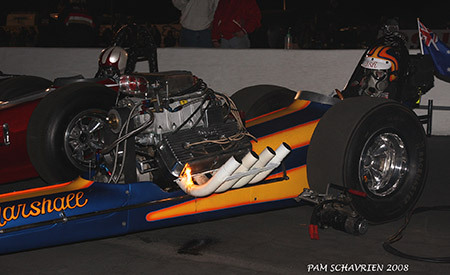 It has been restored over the last two years by Dennis Young and George Bukureshliev who was in the seat for the cars maiden fire up here at Bakersfield. 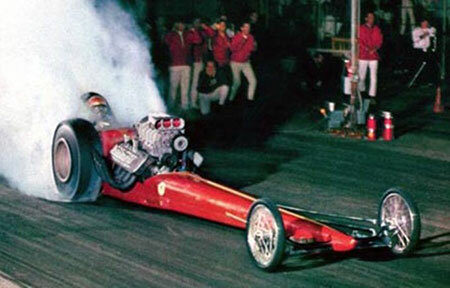 The hemi was fired on nitro for the first time two days before. It was time to show they could push start for Cacklefest. Clutch problems foiled their only practice but were still be able to blower start. Ash Marshall's "Scorcher" from Australia with George Bukureshliev (who did the restoration) in the seat. George Bukureshliev in Ash Marshall's "Scorcher" AA/FD had to static start due to clutch problems. They promise to get that corrected before the 2009 Cacklefest. It is a long story how we came to be at Bakersfield. 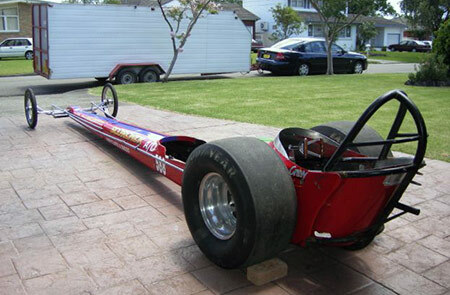 A guy I raced with here in Australia called Dennis Young owns the car. 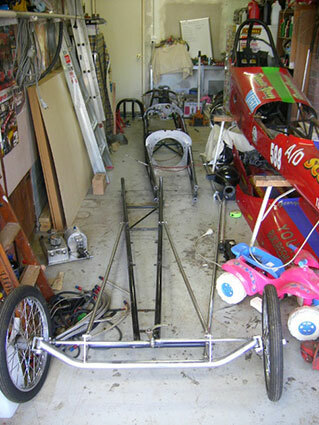 Dennis has been a resident of Anaheim CA since 2000 but left his racing operation here in Australia. 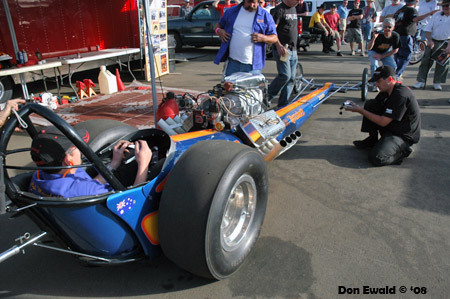 I have been racing with Dennis since 1995 and drove his car Scorcher with my injected alky small block Chevy. 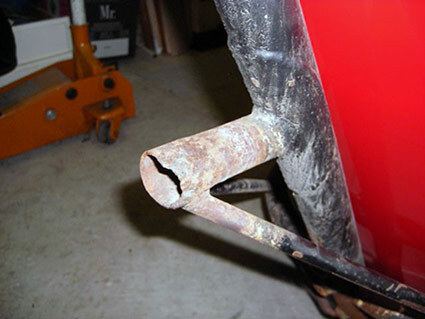 I knew at the time the car had some history but I had not that much knowledge of its famous past. 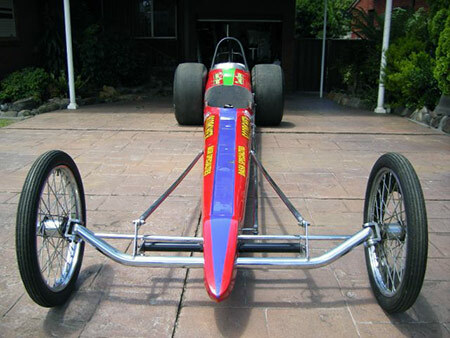 The car I drove was only half the original Scorcher, the car was back halved in 1989. 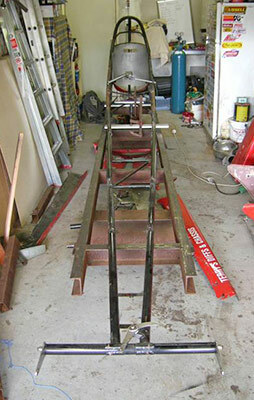 The remaining back half was hanging from his garage roof, I would always look at it and marvel at the rusty old frame. 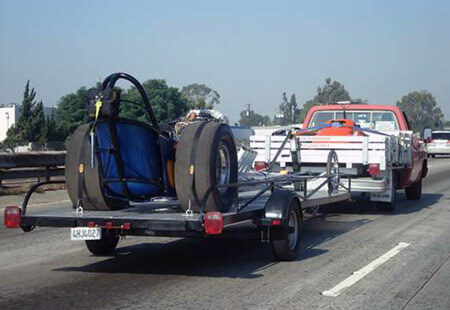 When Dennis moved to the states to start a business we stopped racing and the car was put into storage. 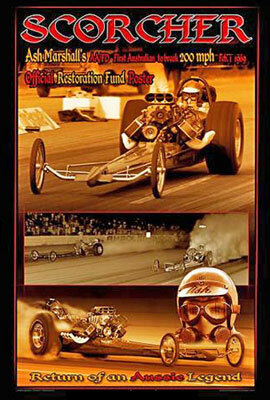 In August 2006 I attended our Nostalgia Nationals in Brisbane Queensland, the event included a Friday night dinner with old racing legends in attendance. The original owner Ash Marshall was at this event as a guest of honor, so I decided to go meet him. Ash Marshall now aged 78 moved to the USA in the mid 70s and was a resident of San Diego, he flew out just for the event. I got to know Ash and he told me some great stories about running the car in the late 60s and early 70s. 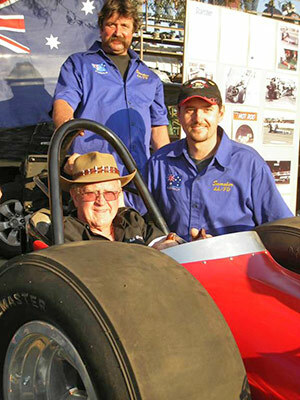 After that I was hooked on the history of the car, Ash drove the car to Australias first 200mph pass in Feb 1st 1969. 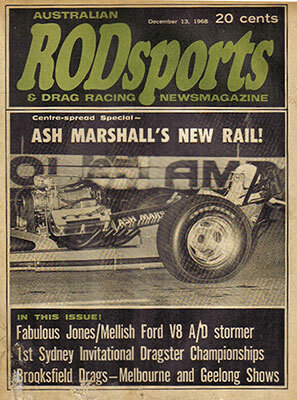 Ash owned the car for 2 years, in that time he raced at 55 meetings. 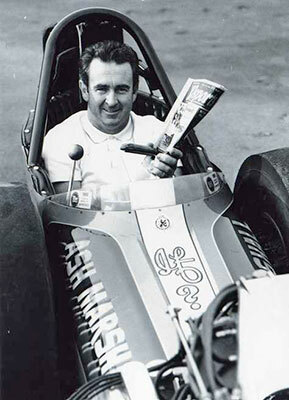 Ash was a household racing name, was an Australian drag racing legend. I started looking into the cars history from before and after Ash owned, I uncovered a very colorful past. 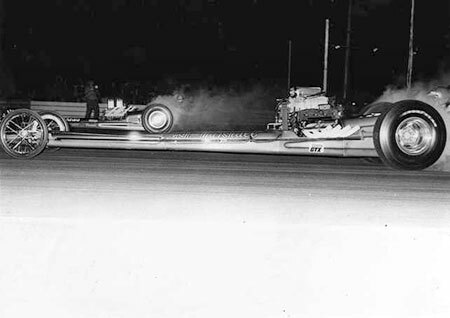 Scorcher was originally built by RCS for Leland Kolb in 1966, Ash purchased the car from Kolb at Lions Dragway in late 1968. Ash sold the car in 1970 and it changed hands another 3 times before Dennis Young stumbled across it in 1988. 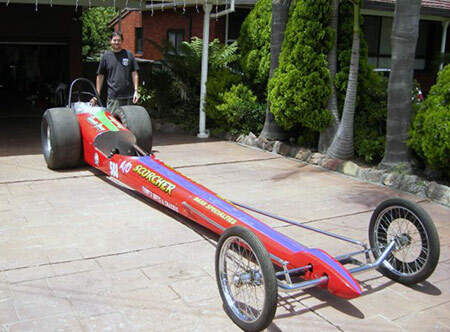 When Dennis found the car it was on display in a Queensland drag racing club room as a monument to its deceased owner and club president. It had been there for 10 years. 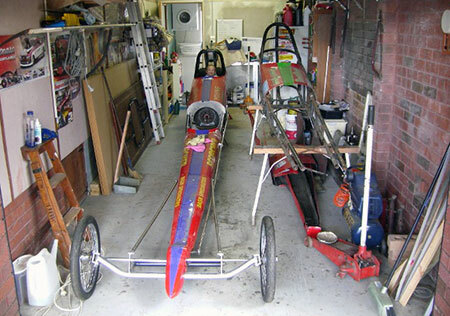 In late 2007 we hatched a plan to restore Scorcher back to its original glory and attend the 2008 March Meet and later CHRR Cacklefest. 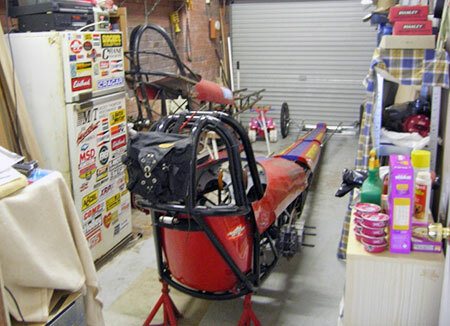 In November 2007 I retrieved the rebuilt Scorcher along with the original back section and got to work rebuilding the old frame and panels. 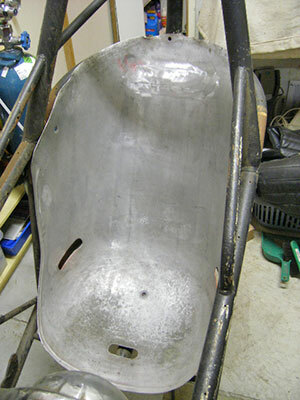 It was like a big jigsaw puzzle, I had to cut the newer car in half again and rejoin it with the original back section. 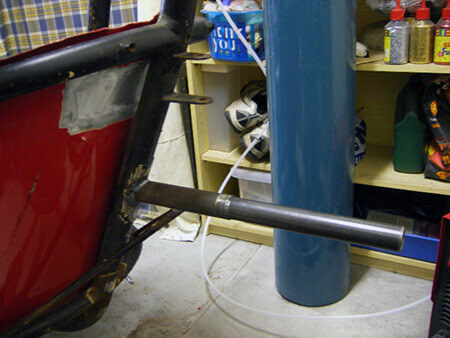 Working at home at night and weekends I had the car finished as a roller at Christmas, by mid January 2008 the car was on the water headed for the USA. 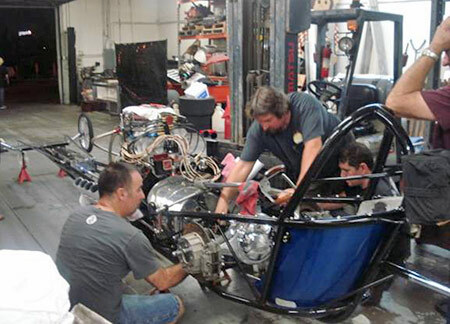 The car was picked up by Dennis with less than 2 weeks to go before the March Meet. 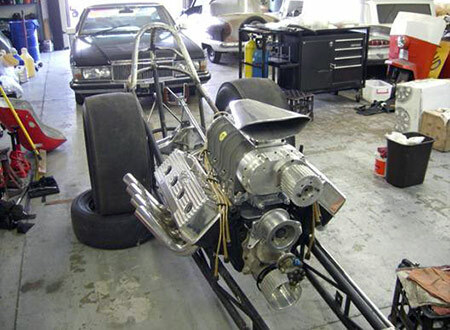 I flew in from Australia with just enough time to assemble the car with a mock up hemi engine and tow her up to Famoso. 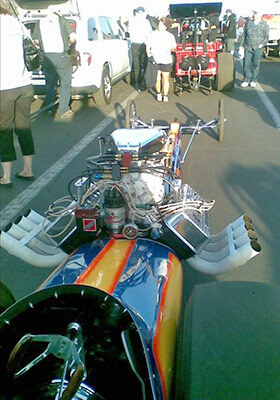 We made it to the March Meet and had the car on display in The Grove for the whole event. Ash Marshall drove up from San Diego to be reunited with his old car, it was a special moment for us. Our journey was not complete. 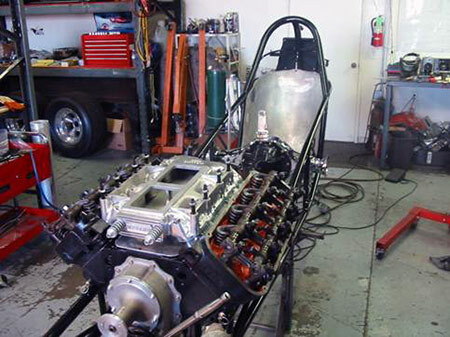 In months to follow after I had returned to Australia Dennis continued with the rebuild and gathering parts for the hemi engine so we could participate in Cacklefest. This turned out to be a huge job for Dennis, he had to run his business as well as find time and money to devote to Scorcher. I flew in to the states again on the Monday before CHRR with the clutch in my bags and the chassis was only just back from getting coated. 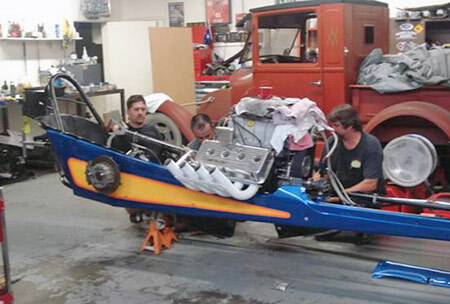 Dennis was till assembling the hemi and the panels were still at the painters. We worked on the car day and night sorting out all the little problems it threw at us and headed to Famoso on Thursday without even firing the engine. We fired up the hemi for the first time on the Thursday afternoon, man she sounded sweet. At that point we realized our dream was actually going to come true. We went out onto the track on Saturday morning to try our first push start but the clutch did not play along and slipped refusing to turn over the motor. 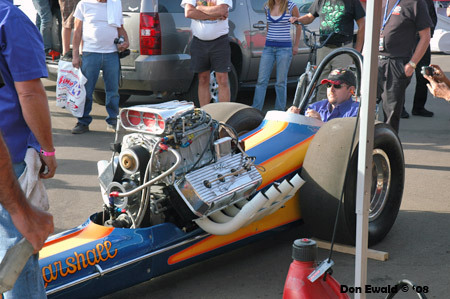 At Cacklefest we blower started in front of the grandstand and ran it for as long as we could, I was lucky enough to be in the drivers seat. Man what a buzz ! Anyway the car told us it was time to shut off when leaking oil from a valve cover lit up a fire on the hot headers. 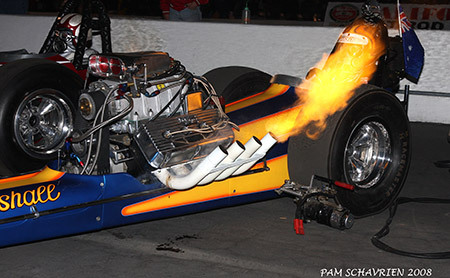 Man we did it all, we ran on nitro with two foot header flames and set her on fire!